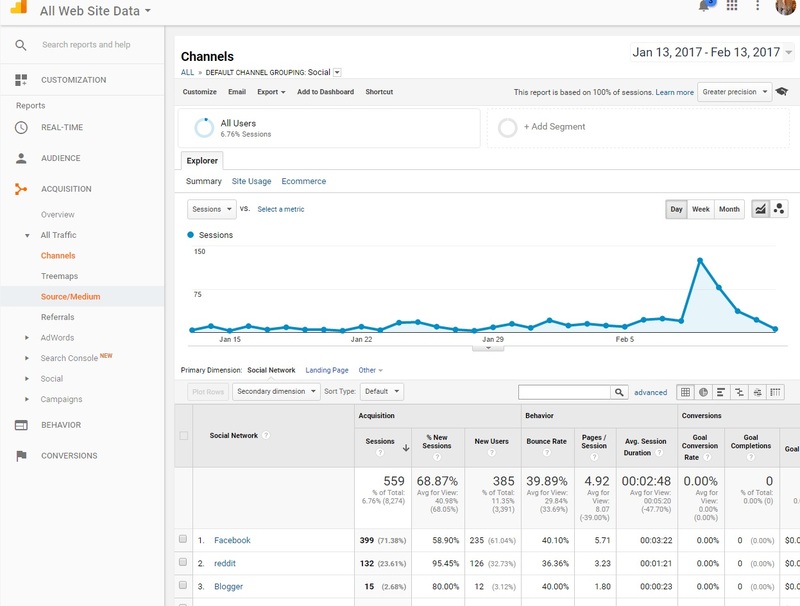 As promised in the last post, the discussion of Google Analytics continues with discussion of how to acquire and apply data to make your product more successful. 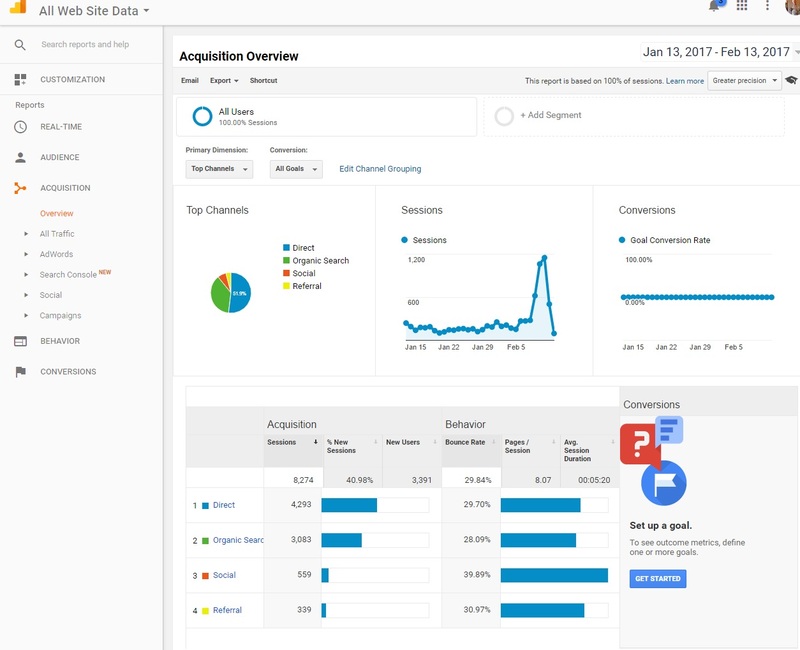 This time, let's focus on acquisition data, the information that tells us how people are finding your site. Combine this with analysis of your referrals, and you can artfully sculpt more successful customer engagements and conversions, but you can also find some great information to help improve your product, engage your customer, and produce data-driven content. Let's talk about how. What Are Our Primary Channels? Under Acquisition → Overview, you can pull up a summary of your sessions over time and the channels through which they arrived. Let's consider a simple example. We will look at some data from a website that supports an annual meeting. The Direct channel reflects people typing in the URL, clicking on a bookmark, choosing it from autosuggest options from their history, etc. The Organic search reflects people looking for the event via search engines. To a much lesser extent, they are arriving via social media (Social) and Referrals from other sites. There are some missing channels here. There are no acquisitions from paid, "cost per click" (CPC) campaigns nor email campaigns. The story that this data tells us is that people are primarily finding the site on their own, whether from a saved link or search. Does that make sense? This particular event is marketed to a small local group primarily by "word of mouth" and is intentionally kept small. The attendees tend to be repeat customers that already know of the event and the site. The site is built in such a way that attendees are able to sign up and delist themselves from activities independently, which drives a behavior of routinely navigating to the website, which will drive a lot of Direct and Organic hits. As a result, the primary channel of Direct makes sense. Since most people looking for the event know something about it. Organic Search is a logical secondary channel, reflecting not just new attendees but also those that rely on search instead of bookmarks. What might not make sense are the relatively low numbers of hits, given that we have 500-1000 attendees and the site is used for signing up for specific activities. Inquiring with the event organizers reveals that they opened up registration a month earlier and the bulk of their attendees were already registered by this point. With that context, the counts make sense. The Social channel is basically a type of Referral, it's simply a bucket for carving out those referrals that are from sites that Google considers "social" sites. Side note: Blogger sites (Google's blogging tool) are included as Social, but not all blogs will show up that way. Most of the Social traffic is from Facebook (71.38%) and Reddit (23.61%). Digging into Referrals produces a similar plot to the one above and for this specific site, the results are what we expect, a lot of referrals from companies and fans from their sites. Does this make sense? This particular event uses Facebook as its primary communication channel so, yes, this makes sense. What can we do with this? A couple of things jump out at us. First, we know where our customers are currently at, so we can use that information to target where to deliver our content, solicit feedback, and generally engage our customer. Second, we know where we are *not* getting customers from, which can help identify new opportunities for channel expansion. 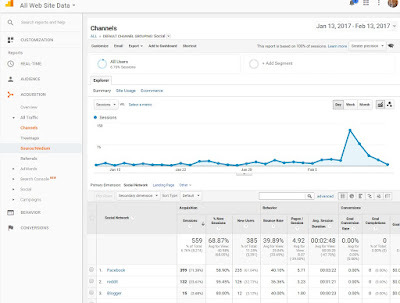 So, that's the obvious stuff that we can directly learn from Google Analytics, but what else can we learn? The nice thing about social sites is that this is where we can reliably find our customers talking about our product. In this example, we know that we have hits on Reddit and Blogger, sites commonly used to ask questions and discuss opinions. We can then search either "reddit" or "blogger", along with the name of our event/product (or other sensible keywords). This rapidly pulls up a number of posts in which attendees and prospective attendees discuss the event and offering opinions, both praise and critiques. Obtain valuable, unfiltered customer feedback. Learn more about the language our customers are using to discuss our product. 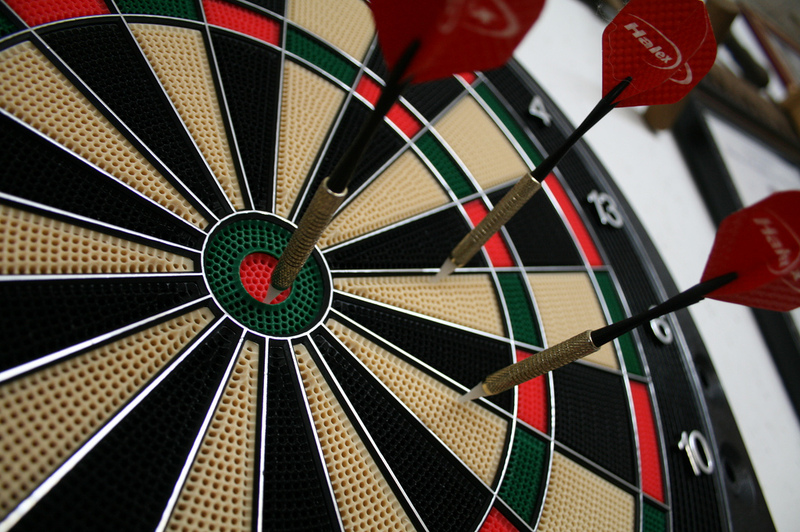 We also have a better sense of where we might want to target future customer outreach and engagement. More importantly, by learning the language of our customers we are arming ourselves with the information we need to produce data-driven content [spoiler alert: we will build on this in the next post]. The main point is that there are two layers of useful information to be had here. 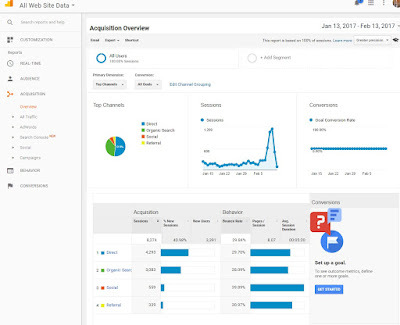 There is the surface layer of direct, obvious data from Google Analytics to better understand where your customers are coming from. Referrals and Social give you information on where your acquisitions are originating, which can help guide where to target future campaigns or potential partners. Then there is a second layer of rich information that can be obtained by following up on what we learned from Social. Researching the specific sites in Social can lead to valuable customer feedback and a better understanding of the language they use to help improve our product and produce data-driven content. In a similar way, keywords can be used in an obvious direct way, but there is another layer of value to be had. We'll look into that in the next post.